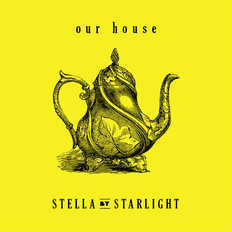 Stella by Starlight | OK Listen! Nostalgia, heartbreak and unbridled joy. These are a few of the emotions Stella by Starlight's music is sure to evoke. Debuting in 2012 to much critical acclaim, Stella by Starlight has, over the years, played some of the biggest festivals and venues in the country (Ragasthan, Nariyal Paani, Blue Frog, Live From The Console, to name a few) while tirelessly honing a sound that alternates between easy listening folk arrangements and sweeping pop melodies. 'Our House' is their much anticipated debut EP - a 4 song distillation of life, loss and the people that they love. Today this Mumbai based 6 piece outfit stands at the cusp of its next exciting chapter. And they want you to be a part of it.